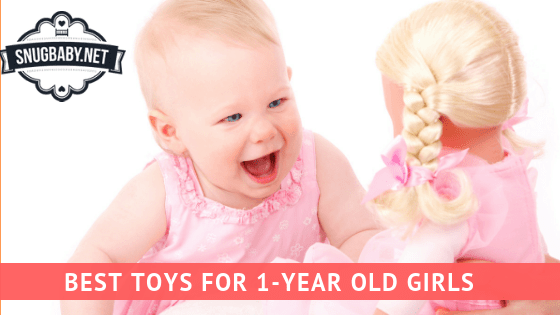 Here’s our list of the best toys for 1 year old girls. Not only will these toys deliver endless hours of fun and learning, but they’re also ​real high quality so they’ll last a while and even ​bring a ​bit of nostalgia when the girls grow up. The internet was supposed to make shopping easier, faster and more convenient. Sometimes though, it has just the opposite effect. It seems that even a mundane task like buying a doll for a little girl requires two hours of research! I get it, I have a little boy and little girl, Parents want only the safest, best rated and most cost-efficient toys for their kids. Which is why they look up to reliable resources like Snugbaby for inspiration! ​The 10 Best Toys For 1 Year Old Girls on SnugBaby.net! This eco-friendly mat is made using soft polyester and is 100% child safe. It comes with 6 non-toxic, non polluting water color pens. Kids fill pens with water and then draw on the mat. The drawings disappear within 3-10 mins and kids can then draw again! The 34.5 x 22.5 inch mat provides a lare canvas for kids to express themselves. It might just prevent them from scribbling on your walls! This mat can be used on the floor, desk or even on grass. It’s priced very reasonably and comes with a 1 year satisfaction guarantee. This gorgeous playhouse looks good in any room, nursery and even in the yard. It has flashy star-lights to make it look even more awe-inspiring after dark. The hexagonal shape is unique and the tent has enough space for your little girl and several of her friends. This is going to be an extremely popular gift at birthday parties and other similar events! It’ll definitely evoke multiple excited squeals from all the little guests. It’s a ‘big’ gift with an affordable price. The overall product quality is good and the tent is quite easy to assemble. There are many similar tents on the market but we like this particular model for it’s unique hexagonal shape that resembles a real castle and it’s spacious interiors which even allows adults to sit up straight inside. This stylish purse contains a make-up kit, sunglasses, toy keys, mock credit card, toy cellphone, hairbrush and a necklace. The make-up kit contains lipstick, shatter-proof mirror, nail polish etc. Little girls are fascinated by the things that adults use and like to imitate their actions. When girls see their moms getting ready, they want to do it too. They demand to play with parents’ cell phone, fiddle with the car keys, wear sun-glasses and so on. This kit saves parents a lot of trouble. Your little girl can have her ‘own’ personal items that ensure hours of pretend play and prevent unnecessary tantrums. The life-like items are in exciting colors to grab girls’ attention and stimulate their imagination. The purse itself is quite chic and all the items are free of phthalates, cadmium and lead. The set is also much more affordable than if you’d buy each individual item separately. ​Check out Amazon's Top ​Gifts for 1 Year Old Girls! Melissa & Doug is a highly acclaimed brand loved by more than 60 million families from all over the world. They sell a toy every 0.46 seconds and this speaks a lot about the quality of their products. Their soft-touch baby doll is completely child-safe. It’s just the right size for toddlers and it’s smooth texture makes it great for cuddling. The doll is easy to clean and closes her blue eyes as she ‘goes to sleep’. Every baby girl should have at least a couple of dolls and this one is among the best around. You might also want to take a look at another similar one, also by Melissa & Doug. This tricycle boasts of a brilliant build quality and charming retro styling. The trike has a steel frame to ensure durability. The rear deck is made using real wood. The overall design is good-looking and functional too. The low center of gravity ensures that the trike does not tip over. The ‘moustache’ handlebars lend a classic touch and make the trike easy to steer. The bike bell is a cute and cheerful addition. The seat adjusts to 5 positions to accommodate growing kids or kids of different ages. Limited lifetime warranty makes this a very good deal. This is a great toy as it encourages exercise and helps little girls to develop strong leg muscles. ​5 MORE ​Amazing Toys for ​1 Year Old Girls below, keep on scrolling! While some activities stimulate physical muscles, this toy motivates kids to flex their mental muscles. It focuses on STEM learning and also promotes hand-eye co-ordination. It has 36 beads in a variety of shapes and colors. This ensures endless possibilities and hours of pure joy! These beads are BPA free, non-toxic and BPA, lead Phthalate-free. The beads are the perfect size for little hands and yet, they are not small enough to get accidentally swallowed. They are also very easy to clean up and great for travelling. A travel bag and pre-school activities eBook set is included with the toy. This truck has a nice ground clearance to help it go over small bumps and slightly uneven surfaces. The big wheels provide very good traction and the high but secure seat gives kids a great view. Introduce your little girl to the joys of driving. The car comes equipped with a foot pedal accelerator and a parental remote control. There are 3 speed modes for added safety and the maximum speed is 2.5 mph. An AUX port enables kids to play their favorite songs. Other features include headlights, built-in horn and start/stop button. This toy ride-on car is ASTM certified and comes with a 6 V rechargeable battery with charger. Maximum weight capacity is 44 pounds. This little tab has 12 learning activities with progressive levels. It teaches numbers, letters and so on. The toy is equipped with a color changing screen, alphabet buttons and a piano keyboard to teach electronic play. The toy ‘laptop’ also has a pretend camera and calender. It comes with volume adjust to prevent kids from creating a loud ruckus and the auto shut-off feature saves battery. The package includes 2 AA batteries for demonstration purposes. Item weighs just over 1 pound and encapsulates hours of great fun and learning. It is included in this list of best toys just because of the sheer value that it delivers for the price. 2 year old kids have a lot of energy and parents may not always be able to keep up with them. This becomes a problem in busy areas such as shopping centers, railway stations, airports etc. Kids’ curiosity usually gets the better of them and often, they drift far from their mom and dad. The parents then embark on a frantic search. All this drama can be avoided with this cute backpack that comes with a tether. This allows you little girl to explore her surroundings but prevents her from venturing off too far. It’s very light (weighs just 8 ounces) and the padded adjustable straps provide a very comfortable fit. The Rocket theme is very futuristic and cool. The zipper is rubber coated for better grip. The backpack is made using environmentally friendly materials. The tether comes off when not required. Girls are never too old or too young to enjoy a plush toy. This elephant is super soft and works very well as a sleeping companion or cushion. It’s machine washable and looks cute in any part of the house. The elephant is 24 inches tall and about 18 inches wide. It weighs only 1.85 pounds and the quality of stitching is great. It’s a toy that your little girl will cherish well into adulthood. 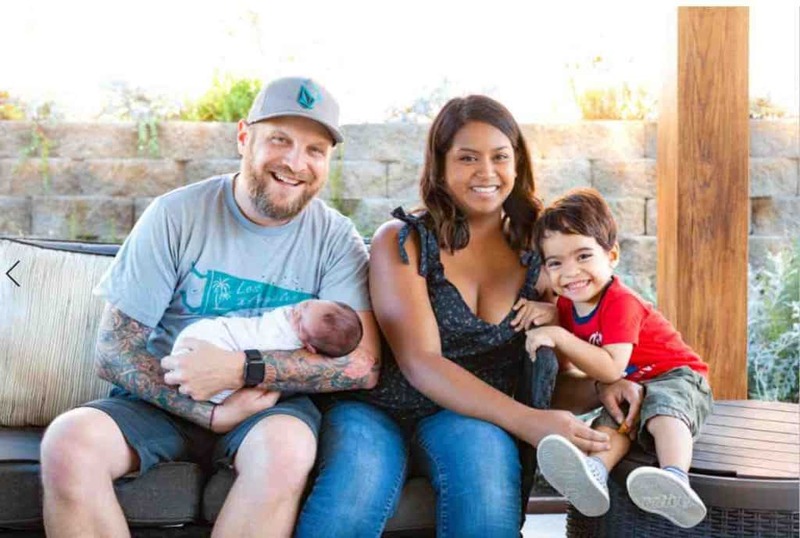 We hope that we helped you to pick out the best toy for your 2 year old girl. Please check out our list of the best toys for 1 year old boys as well. Check out Amazon's Top Gifts for 1 Year Old Girls!